Revised and updated. Keira is content in her small, medieval village - well, sort of. Her mother is pressing her to marry, but her suitors are less than desirable. So when handsome Aaron Drake arrives in the village and focuses his attention on Keira, she cannot help but be interested. But Aaron is not the only new arrival in the area - a fire-breathing dragon has also taken up residence in the mountains, not far from the remote alpine castle that Aaron calls home. What exactly is the connection between Aaron Drake and the dragon? Why is his arrival coincident with the arrival of a beast? And when the dragon rescues her from the unwanted attentions of some village boys, who will set out to rescue her from the huge, scaly, fire-breathing monster? 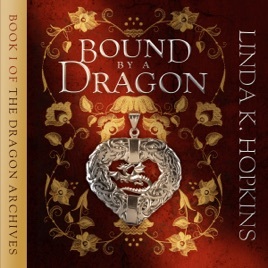 Bound by a Dragon sweeps the listener far from the modern world into a world of castles, medieval markets, and fantastical romance.